It was the final race of the Finn Gold Cup and a storm front had been approaching for most of the afternoon. 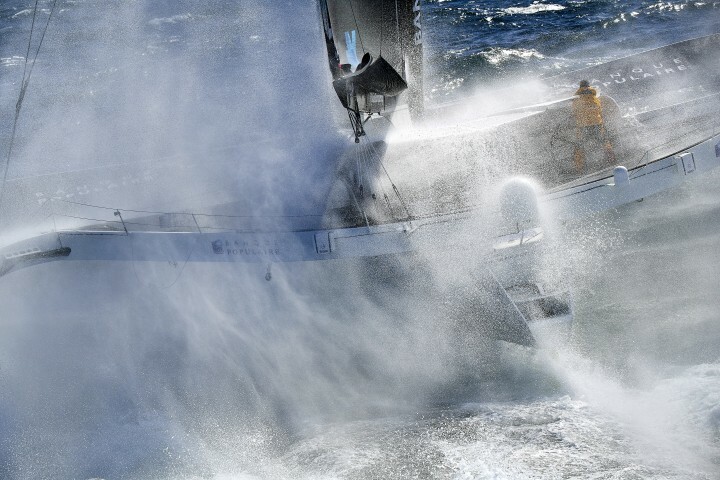 It hit the fleet at the top of the final beat, just as the leaders were rounding. 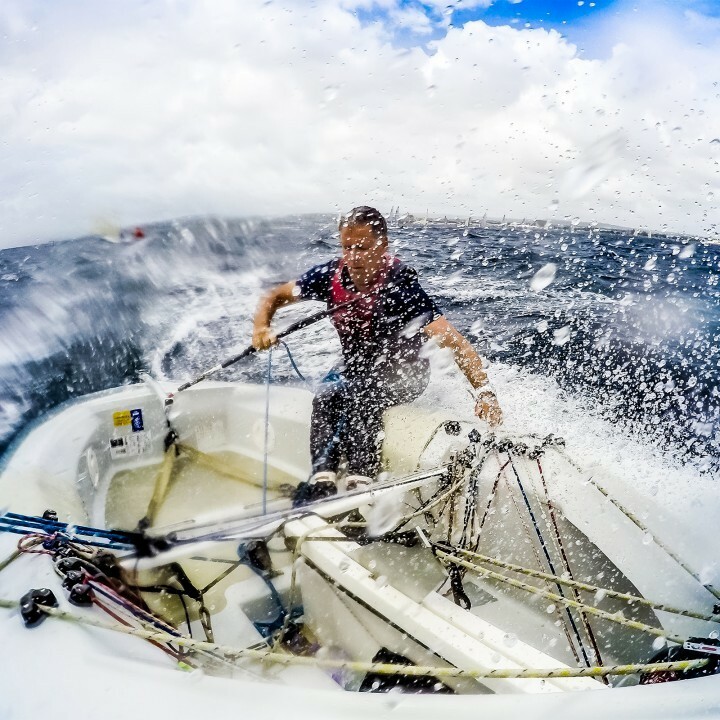 The wind increased from 10 knots to more than 30 knots (some coaches said 40 knots) in less than a minute, along with heavy, horizontal rain, whipping up the sea into a maelstrom, which made it very hard for the driver to control the rib. I initially put my camera away as the conditions were so severe, but then realizing what was unfolding in front of me, I pulled it out again, with the video camera still attached to the hot shoe and starting shooting photos and video. I was cowering behind the RIB’s console as the storm and heavy rain buffeted the RIB to try to protect the cameras from the worst of the elements, but was still almost blind from the wind and rain in my face and on the lens. It was quite hard to balance, or even to see. In the next two minutes I took a sequence of shots and video showing the amazing battle between Finn sailors and the forces of nature that, over the next few days spread worldwide. They are not perfect, but became some of the most widely published photos of the whole regatta. This photo shows the situation just after the full brunt of the storm hit and visibility was reduced to less than 50 metres because of the spray and the rain.